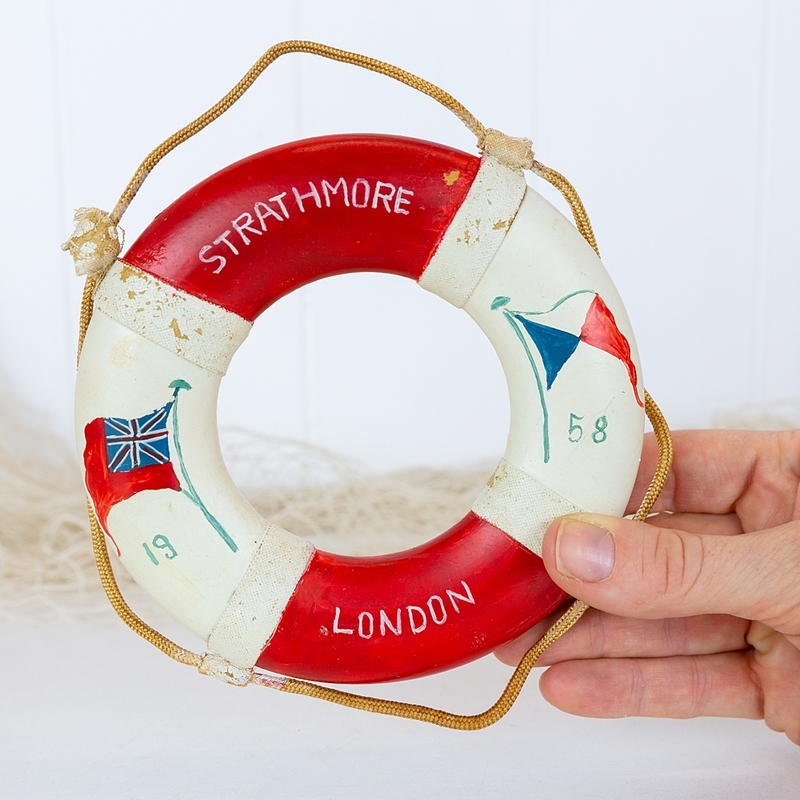 Souvenir life rings such as this were often available on cruise ships and passenger liners as a memento of the journey. This sweet example is from the Strathmore which sailed from London in 1958. 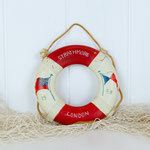 A sweet piece to add to a gallery wall or vignette. It has a little tear and wear & one loophole has come unstuck.